The Church in Her House takes its name from the historically contested Christian Testament references to house churches led by women; the biblical house of wisdom mentioned in Proverbs 9:1-5; and the home of Mary and Martha of Bethany. It is a workbook, resource, and guide intended for Christian communities and individuals who want to plan and design Christian feminist liturgies for women's groups, Bible study groups, and ecumenical women's gatherings as well as one's congregation, community, and personal prayer life. 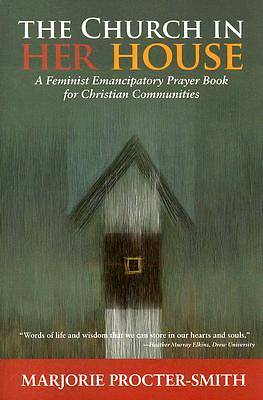 Includes helpful examples of model prayers, practices, and liturgies.